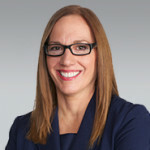 Lori Fuhrer, a director at Kegler Brown, has been recognized in this year’s Chambers USA Women in Law Awards. Fuhrer was selected as one of four women in the nation to be nominated in the ‘Up and Coming Litigator’ category. She has been practicing law for more than 15 years and has an extensive background in litigation. Fuhrer’s extensive litigation experience includes complex business, banking, housing, and employment cases. She has been inducted as a Fellow in the Litigation Counsel of America, recognized by the Institute for Conflict Management as a certified mediator and honored as one of the "Top 25" women attorneys in Columbus by Law & Politics magazine. The Chambers USA Women in Law Awards honor leading female in-house and Chambers-ranked private practice lawyers who are also committed to furthering the advancement of women in the law. The awards also celebrate firms that have the most innovative gender diversity initiative and the best mentoring program. For more information on the Chambers USA Women in Law Awards, please visit the Chambers website.